Just about any vehicle out on the road will get you from point A to point B, assuming there’s pavement between those two points. A Jeep, though, will do much, much more. When you have the keys to a Jeep hanging from your belt, it can feel like the whole world is ripe for the taking. In fact, few other automakers can compare with the sense of loyalty that Jeep inspires. Like a classic band or a flawless movie, Jeep has a cult following unlike anything else in the automotive industry. At our custom Jeep shop in Dallas, we see the love that drivers have for these vehicles firsthand every day. The source of this comradery, of course, isn’t just a shared love of a particular line of SUVs. Instead, it comes from a common passion for exploration, capability, and the great outdoors. When it comes to owning life on the trail, Jeep is the brand that leads the pack! Perhaps the most widely known component of this unique culture is the Jeep Wave. A simple motion exchanged between passing drivers, this wave is like a small salute of recognition amongst Jeep owners. Like any salute, though, there are rules to be followed. The specifics of the wave might vary based on who you ask, but most drivers agree that there’s a hierarchy in place. The foundation is built on stock Jeeps, with some drivers even making a special distinction for the tried and true Jeep Wrangler. Above stock models come modified Jeeps, outfitted with upgrades and extras for even better off-road performance. If you’re looking to climb the ladder, then the custom Jeeps at our Dallas dealership are the perfect fit. Atop the mountain, there are the completely overhauled machines that seldom flinch away from a challenge on the road. This is the sort of commanding presence you’ll find with the project Jeeps we build from the frame up! Wherever you land on the Jeep totem pole, the important thing is to have fun on the road and the trail–and to remember that there’s always room for improvement! 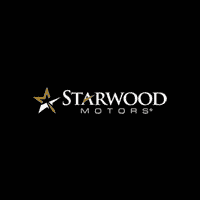 If you’re looking to turn things up a notch off-road, then it’s time to contact Starwood Motors by calling (800) 348-9008.